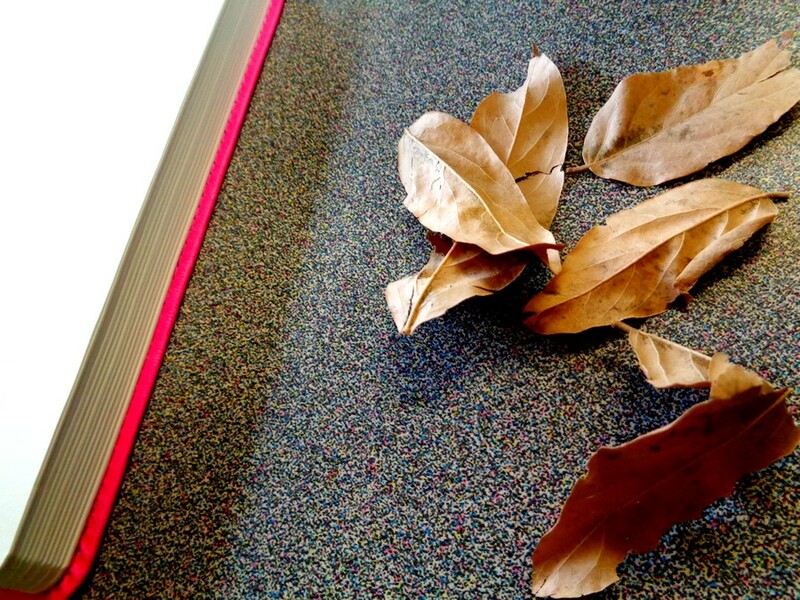 Leaves and perhaps leafing through journal pages! Nicely done, Carin! Oh ho, I cheated and read Cheryl’s comment and of course! I missed that, being taken by the lovely contrast of the bright pink binding against the soft papery brown of the leaves and the mottled surface they are lying on. I have looked at this for a long time trying to decide whether the colourful “aggregate” the leaves are lying on are in fact granite, perhaps a kitchen counter … or, as I first thought, a walkway. The book is of course the give-away. Sort of. But wait, perhaps there’s more: perhaps the book (journal?) was thrown down in despair; perhaps the leaves are the symbol of that despair, perhaps, perhaps…! Lovely and thought provoking of seasons changing, within and without…!